The first of the new fishery boats was delivered to the Game Fishing Centre last week and is currently being prepared ready for use on Haywards Farm Lake. The first anglers will be out making full use of it shortly. 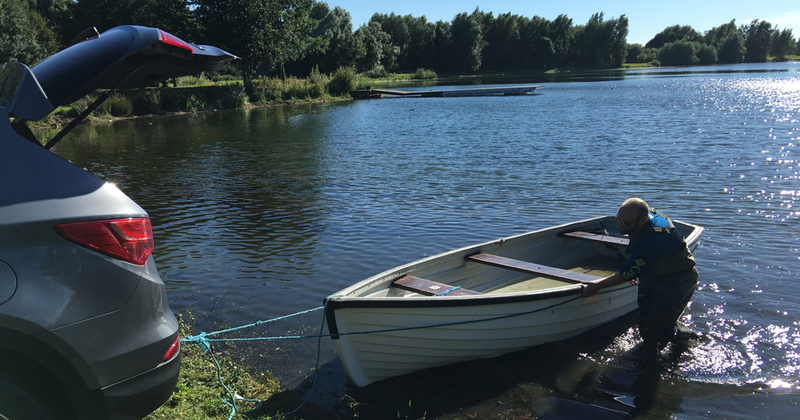 The boat is to be christened ‘Hardy’ in recognition of Hardy’s sponsorship of the electric outboard motors, provided for use with each boat – and we are hoping the sister craft, ‘Greys’ will be arriving soon.